But almost nobody knows, that in 1973-74 was developed the experimental modification of Volga – Gaz-24-95, which had all-wheel drive and other elements, turned it into the real and unique landrover with good cross-country capacity. It is known, that there were produced only 5 copies and one of them was the property of Leonid Illich Brezhnev (old soviet leader). Some photos after the jump. Only if you were a soviet leader like Leonid Illich Brezhnev, then you could make up your own set of rules that no one else could live by. Also you could have a car; but to my best understanding, it was still property of the state. That’s a weird notion. About the “property of the state” too. Actually, cars were considered “personal property” like radios, small boats, household appliances, etc. As far as I know, there are still one or two of this cars (AWD)conserved by some enthusiasts. It reminds me of a 1960s Dodge. Ah.My Uncle in Bulgaria(former soviet satelite state) had a volga like in the fist picture.It is still on his parking lot. there were long queues. the number of cars produced by factories was less than of those who could afford to buy a car. my granddad’s family (who was a track-driver) had enough money at their bank account to buy three Volgas, but they couldn’t because his turn to buy didn’t come. 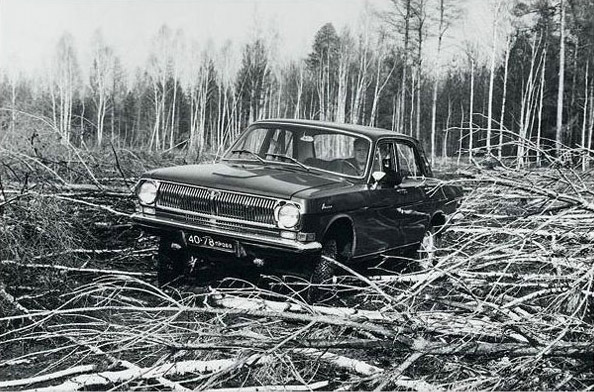 as for GAZ-24, it was a good car with only one disadvantage – voracity. but it was not a problem, because petrol was really cheap. there was also a shortage of spare parts. it made those who owned cars be careful drivers and nurse their cars. 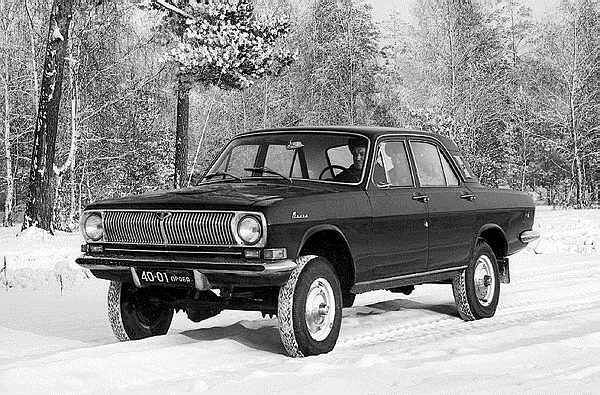 I want nice Zaporozhets to drive on Sunday.